Large impacts are fascinating. There’s the thriller-movie aspect of them, of course, spiced with enough reality to make them legitimately scary. But the physics of them is equally enthralling, and complex enough that it will be a rich field for scientists to study for years to come. The good news for both these aspects is our Moon. Seriously! There are enough craters there for anyone to be happy studying them, and since the Moon is a giant lifeless chunk of rock, impacts there seem less urgently threatening. I want to show you two craters on the Moon that are very different, and therefore very interesting. First up, Copernicus. 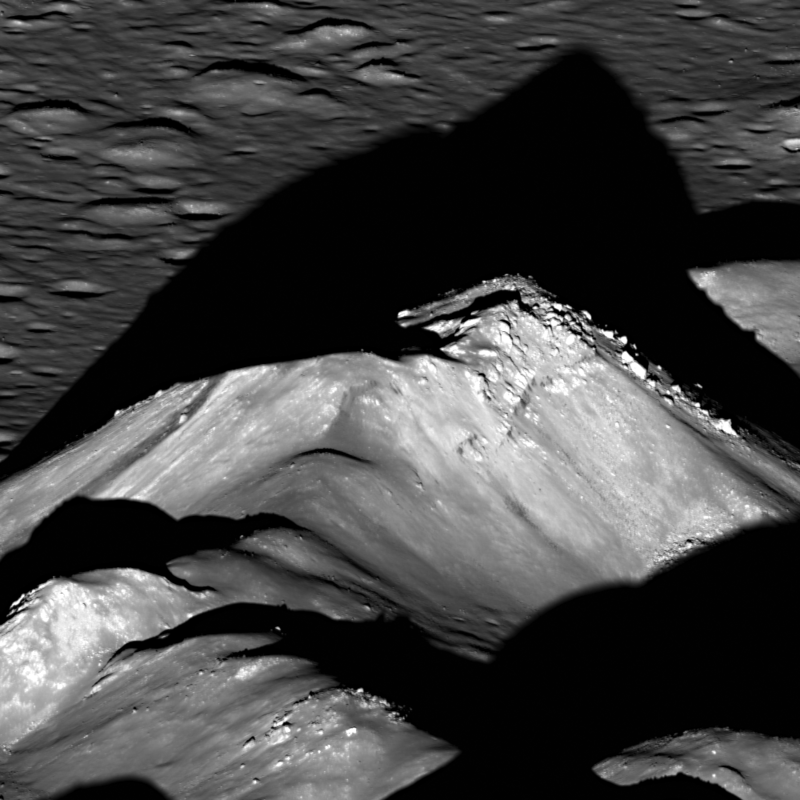 Or more accurately, a small part of this 90+ km (55 mile) wide impact feature: its central peaks. This image was taken by NASA’s wonderful Lunar Reconnassance Orbiter. Copernicus is a big crater, and easy to spot even with binoculars since it sits in a vast lava plain; the surrounding material is darkish grey, while the crater is far brighter. It’s also surrounded by a gorgeous system of rays: linear streaks caused by the collapsed plumes of material after the asteroid or comet smacked into the Moon to form the crater itself. It’s very different from Copernicus. The floor is flat, and noticeably lacking in a central peak! Why not? Most likely it’s just size. 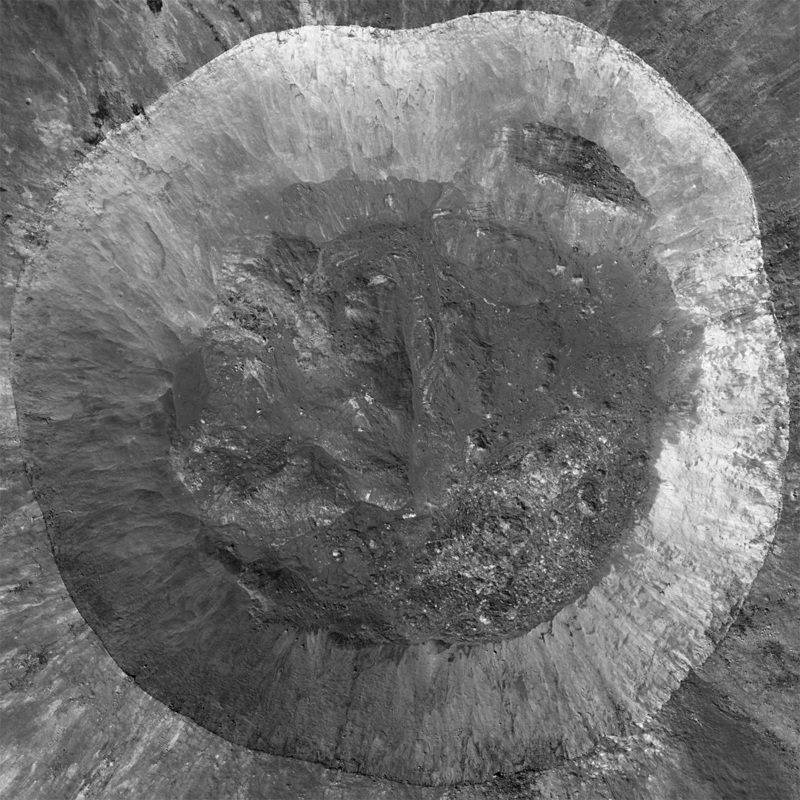 The impactor wasn’t big enough to create the same conditions as in Copernicus (or again Tycho), so the crater shape and structure is different. In fact, you can see places where the crater wall has collapsed inward a bit, like in the upper right (a really nice shot of this part of the crater just went up on the LRO site too). The slumped material forms a flat bench halfway down the wall. That sort of feature is common on Earth too, where sometimes mountains or canyon walls subside a bit and form those benches. There are lots of other interesting things going on in this crater, and the LRO site has more on those. When I use my own telescope to look at the Moon, I love sweeping over the many craters, admiring their natural beauty as well as comparing and contrasting them. You might think the Moon is homogeneous, with craters all looking the same, but clearly the moon is deserving of a deeper investigation than that. Oh, one more thing. I said earlier that looking at craters on the Moon makes the threat of impact seem less urgent. After having written all this, I may change my mind a bit. What happens on the Moon doesn’t really stay on the Moon: the Earth is bigger, has more gravity, and makes for a nice juicy target. 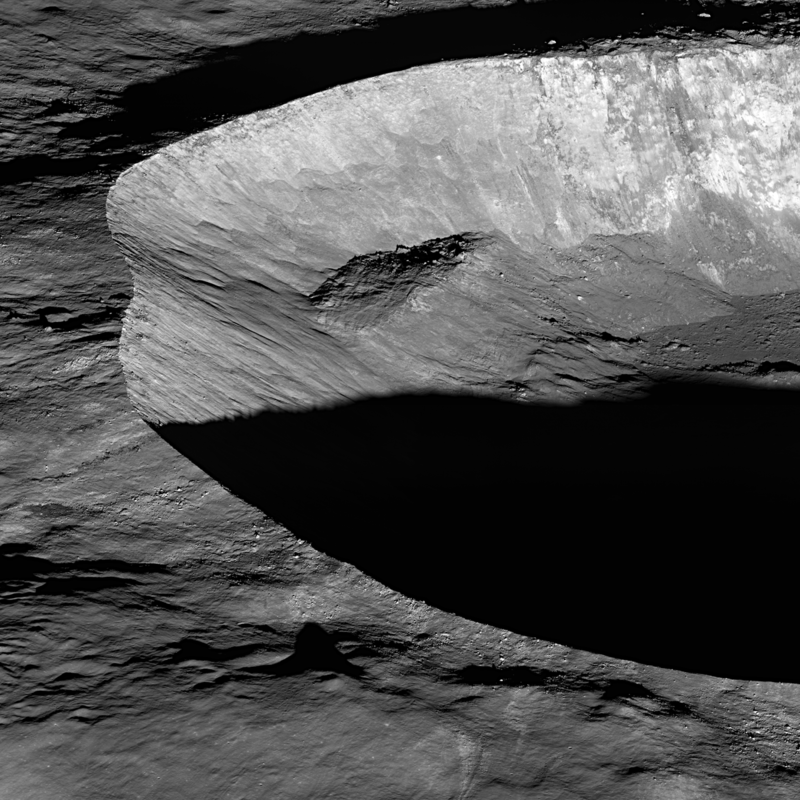 Studying craters on the Moon is important. Besides just helping us understanding the physics and geology of these colossal events, it helps us understand how better to prevent them here on Earth; the more we know about impacts, the better! And these craters are, after all, a reminder that big rocks are out there, and they do sometimes find a big blue planet in their way.